Home > Research	> Calling all Researchers or anyone with an interest in P2 Research! 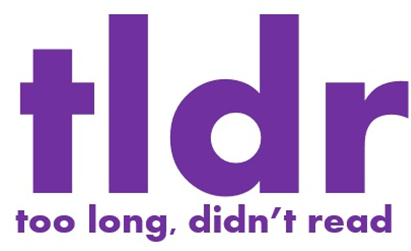 Welcome to the IAP2 Research Committee’s solution for TLDR (“Too Long, Didn’t Read”). We are working to serve IAP2’s membership with relevant and accessible content that bridges research and practice. In this piece we present you with a brief summary of The Unfulfilled Promise of Online Deliberation. Feel free to send us articles that you would like to see in future editions of this column – send your ideas to amelia@iap2usa.org. The inherent features of online engagement – self-selection and self-management – make it difficult for inclusiveness of participation as well as implementing rules of engagement that support a deliberative process. However, the authors suggest cost effectiveness and the tool’s (online platform) speed and capacity to scale out are strengths that should not be overlooked in engagement planning. The authors advise that practitioner focus needs to be on the strengths and the opportunities of each online platform. There should be a healthy recognition of each tool’s limitations and consideration given to lessen these impacts. Hartz-Karp and Sullivan (2014) demystify the dream of creating an online space that functions as well as in-person engagement. Accordingly, they suggest that in order for online platforms to significantly contribute to a truly deliberative engagement initiative, “face-to-face engagement…seems [to be] key” (P.3). Finally, by working from a place of understanding the more traditional P2 scene, the authors suggest that online platforms can address the challenge of self-management in online engagement. In face-to-face scenarios, they encourage lobby groups to diversify viewpoints in the deliberation process. They suggest replicating this aspect online by encouraging “curators”, those who initiate conversations on an issue, to take on a similar role in the virtual environment. The authors indirectly suggest that this takes advantage of, and lessens the unwanted impact of, the self-management ability of online platforms. Thank you for reading and summarizing for us!